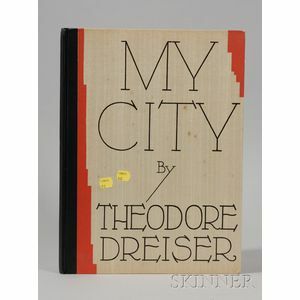 Dreiser, Theodore (1871-1945), My City, New York: Horace Liveright, 1929, original pictorial wooden boards, number sixty-four of 275, signed by the author, illustrations by Max Pollak, folio, (very good condition, very minor wear). 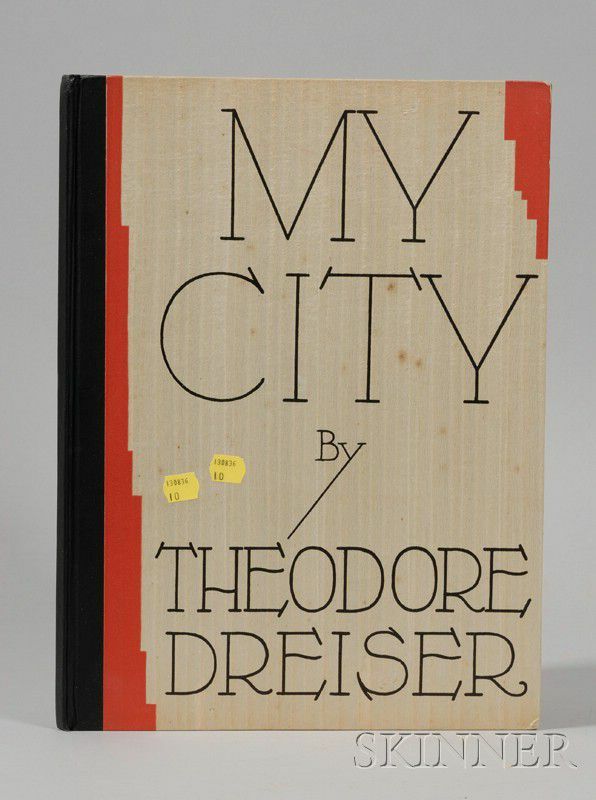 Very good condition, very minor wear. (American Indian Wars), Wright, Edward F.